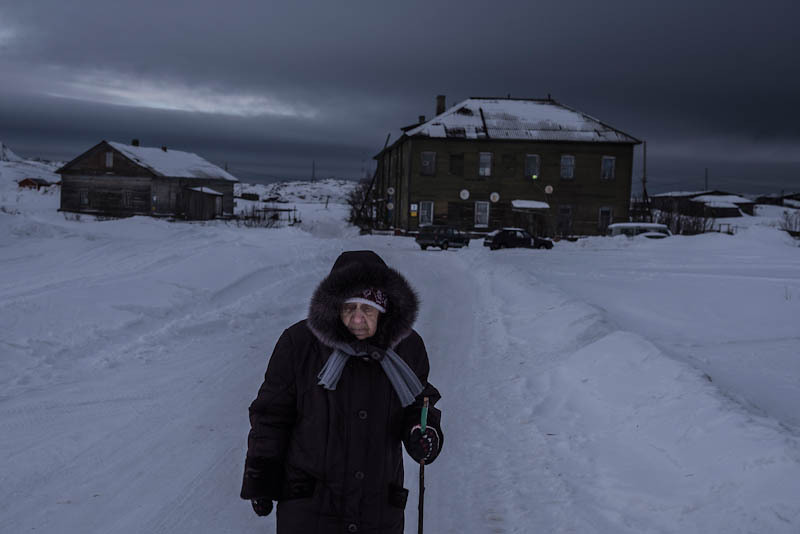 "Overfishing the South China Sea"
A woman walks along a road in the village of Teriberka on Russia's Arctic coast on February 29, 2016. A relentlessly bleak yet critically acclaimed Russian film, "Leviathan" was shot mostly in Teriberka, giving the locality an unwelcome reputation as possibly the most miserable place in the country - a remote, frozen wasteland of drunks, brutish officials, crumbling buildings and unalloyed despair. It is a territory scorned by urbanites but also often celebrated, by the same urbanites, as the locus of authentic national identity. Since "Leviathan" came out and began winning prizes abroad and fierce condemnation from Russian nationalists, Teriberka has attracted a steady stream of visitors.